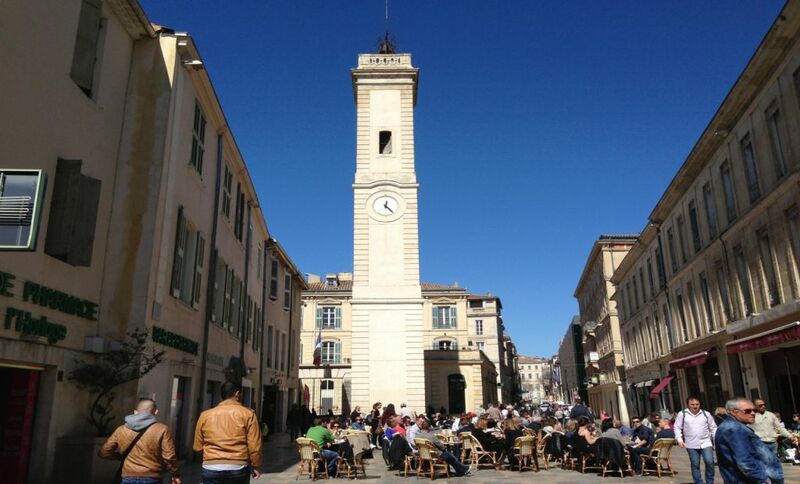 With its tower rebuilt in the eighteenth century, Place de l'Horloge has set the time in the heart of the town for five hundred years. Nicot, a local man who became ambassador in Lisbon and imported a herb first called "nicotiane" before becoming "tabac" (tobacco) was born in this square. The place was renovated in 2003 with paving, a fountain at ground level and a mulitcoloured play of lights, creating movement.